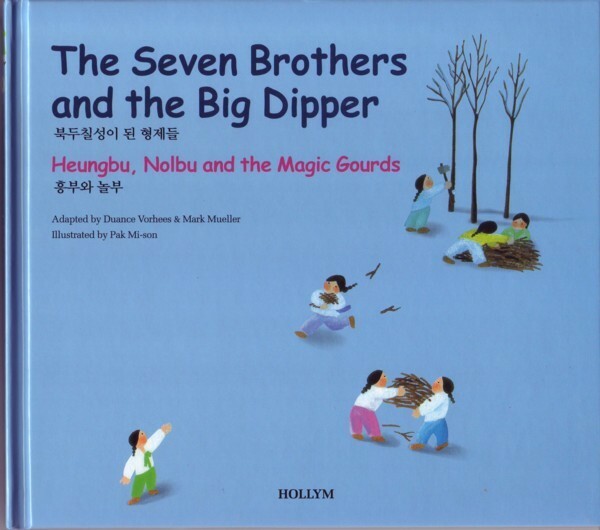 Produktinformationen "4 - The Seven Brothers and the Big Dipper / Hungbu, Nolbu"
Seven brothers help their widowed mother with such devotion that they become the seven stars in the Big Dipper. Two brothers, one kind-hearted and one mean, plant some gourd seeds that were brought to them by a bird. When the gourds are opened, they reveal the difference between the fruits of greed and compassion. Weiterführende Links zu "4 - The Seven Brothers and the Big Dipper / Hungbu, Nolbu"
Unser Kommentar zu "4 - The Seven Brothers and the Big Dipper / Hungbu, Nolbu"
Kundenbewertungen für "4 - The Seven Brothers and the Big Dipper / Hungbu, Nolbu"